GLENIE, JAMES, army officer, military engineer, businessman, office holder, and politician; b. 1750 in Fife, Scotland; m. in the early 1780s Mary Anne Locke, and they had at least two sons; d. 23 Nov. 1817 at Ebury House, Pimlico (London), England. No stranger to controversy on whatever side of the Atlantic he found himself, James Glenie was a colourful and opinionated figure in New Brunswick’s early history. His intellectual ability and talent won him the support of prominent English patrons, whereas his unceasing attacks on Thomas Carleton and the loyalist élite helped forge an opposition coalition which has been acclaimed as a popular reform movement. He moved easily from the highest circles in London to the struggling communities of Sunbury County, at times a principled opponent of any scheme harmful to the best concerns of the public, and, on other occasions, a defendant given to special pleading on behalf of his own or a patron’s particular interests. When squabbling continued none the less, Haldimand suggested the possibility of Glenie’s recall. Twiss agreed that a recall might be wise but still thought him “the most capable Officer I know in the Province” to undertake a necessary survey of the north shore of Lake Ontario. By May 1779 it was too late to rescue Glenie since a petition he circulated against Aubrey and a charge that he had “Signed a false Return” left him under arrest and facing a court martial. 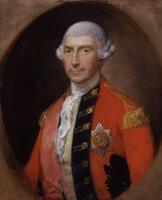 To the double embarrassment of Haldimand, Glenie’s services were still badly needed and in the fall word arrived that Glenie had been transferred to the corps of engineers (his commission as a second lieutenant was dated 23 Feb. 1779) and Lord Townshend wanted him sent home to England. Because of a variety of problems, there was a long delay before Glenie was brought to trial, and Haldimand felt that until this judicial question was resolved it would be “highly improper” to allow him to return home. For his part, Glenie initially described Aubrey’s accusations as “vague & indeterminable,” offered a spirited defence of his conduct, outlined the insufferable insults he had patiently endured, and asked permission to move to the eastern part of the colony, “where I can find more conveniency of amusing myself in the mean time with Study, as nothing can be more insupportable than idleness.” By November, now in Quebec, he diplomatically accepted Haldimand’s decision not to allow him to proceed to England and expressed his willingness to be “employed as Captain Twiss shall direct, till such time as the affair between Capt. 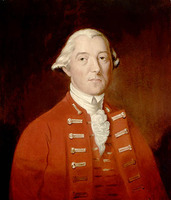 Aubrey & me can be settled without Inconveniency to the Service.” As a result, although charges were laid against Glenie in the spring of 1779, his court martial did not take place until the summer of 1780 and in the interval he continued on active and valued service, largely at Sorel. While under this cloud, he was the recipient of a significant honour at home. Two mathematical papers were presented to the Royal Society by Francis Maseres* on his behalf and earned him election as a fellow in March 1779. Would such a brilliant young officer be cashiered? Not likely, at least to Lord Townshend’s way of thinking, since several months prior to the trial he virtually assumed acquittal: “Mr. Glenie as his affair is likely to turn out favorably is ordered to remain on the Canada Staff.” Finishing the trial in late August, the court-martial board, which included Lieutenant-Colonel Thomas Carleton, on 24 October presented what must have been a rather surprising verdict to some of Glenie’s supporters. He was found innocent of signing a false return but “Guilty of having behaved unbecoming the Character of an Officer and a Gentleman on many occasions.” He returned to England disgraced, his military career apparently ended, but bearing a letter from Haldimand to Townshend describing him as “a very promising Engineer.” “He possesses great knowledge and great application, and from a belief that his faults have arisen from his want of knowing the rules of the Army, I would thro’ your Lordship recommend him for any Employment where great abilities and great application are necessary, But where Subordination is not the first and most necessary Qualification.” Haldimand made identical remarks in a letter to Lord Amherst*, and a variation on the same theme was offered to Colonel William Roy of the engineers, who was urged to intervene to prevent Glenie from being ruined. Within a matter of months the decision was overturned. In late January 1781, on the grounds of irregularities in the court-martial proceedings and Glenie’s good service both before and after arrest, the king, while disapproving of his conduct towards Captain Aubrey, remitted the sentence and restored Glenie to his rank and duty in the engineers. Meanwhile Glenie had returned to active service in North America and was realistically looking for new sources of income to supplement, or replace, his military pay. In the late summer and early fall of 1785 he supervised work parties of the 54th Foot in the Saint John River area of New Brunswick and, as a result of a tour up the Oromocto River, he submitted a proposal for the proper development of this part of the province. Thinking that the Oromocto region was “admirably calculated for grazing & the rearing of Cattle; of which the beneficial Effects are almost instantaneous when compared with those arising from Agriculture,” on 4 August he proposed to import cattle, clear 60 to 100 acres of land before winter, and begin to raise livestock if Carleton, now governor of the province, and the New Brunswick Council would immediately grant him 200 acres. In addition, Glenie asked for an assurance that, when the restrictions concerning the size of land grants expired, his grant of 200 acres would be augmented with another grant, adjoining the first, of at least 1,000 acres, “which is the smallest Quantity for any Person to embark in a Scheme of this Nature.” A cool governor and Council responded with a qualified offer of 200 acres, but a disappointed Glenie never took it up. Instead he resubmitted his proposal in October 1785 in a joint petition with William Gordon of St Anne’s Point (Fredericton), William Donaldson and James Gordon of Saint John, and Alexander Fraser of Grenada. Again the advantages of cattle-raising on the Oromocto were emphasized and the memorialists promised that, if they were awarded a tract of 5,000 acres, they would each put “not less than twenty Milch Cows upon their Lands early next summer, together with the necessary houses and Servants.” An unimpressed governor and Council granted only what was “agreeable to the General Regulations” and only to “Such of the Memorialists as are in the Province & not already provided for”; again the offer was refused. Hence, even before Glenie took up permanent residence in New Brunswick his schemes had been twice frustrated by Carleton and the loyalist-dominated Council, the same Carleton who had participated in his Quebec court martial. Glenie returned to England some time after receiving the response to his second petition for land. His stay there, however, was short. 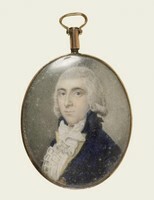 Realizing that Richmond’s opposition would damage his military career, in September 1787 he resigned his commission, granted on 15 November of the previous year, as a lieutenant in the engineers. The next month Glenie and his family arrived in New Brunswick aboard the brig Providence, for Glenie a return to familiar country but for his wife, Mary Anne Locke, probably her first visit. Glenie settled on land at Gooldsborough (near Oromocto) in Sunbury County, but the only land claims recorded in his name were two later grants, one of 235 acres in Queens County in 1790 and one of 880 acres in York County in 1794. While he was in London the firm of Blair and Glenie had been formed to participate in the mast trade, and it was through this enterprise that Glenie hoped to make his fortune. Andrew Blair would secure from the Admiralty contracts for masts and Glenie would get the masts to Saint John. By 1790 he had a “Mast Pond with the appurtenances, situate near Portland Point [Saint John],” as well as mast ponds at French Lake on the Oromocto and just below Gagetown on the Saint John River. But once again, he ran afoul of Carleton and the loyalist élite, whose plans for agrarian development would be disrupted by over-aggressive masting operations. Offsetting this opposition was the friendship and support of John Wentworth, surveyor general of the king’s woods in North America, and soon to be, in 1792, lieutenant governor of Nova Scotia. Always ready to help Blair and Glenie in fulfilling their contracts, when Glenie requested a timber licence in 1790 Wentworth was quick to issue one “for so many Trees as were necessary.” Not only was Wentworth very cooperative with Glenie, but Glenie in turn was willing to report “illegally cut” timber and “trespassers.” The latter were promptly prosecuted by Wentworth, sometimes with money conveniently advanced by Glenie. In business dealings and management of the forest resources the Glenie–Wentworth connection was extremely strong, no doubt reinforced by the rapport and respect each had with and for the other. Glenie was far from a tribune of the common people at this moment, and his electoral success in Sunbury County probably owed more to his taking as a pattern the approach and appeal of a William Davidson* than to later issues such as assembly power. Davidson had been elected to represent Sunbury County in the Nova Scotia House of Assembly and then in 1785 represented Northumberland in the New Brunswick assembly. In both instances, the fact that he was at the time of election the most prominent employer of individuals in each of the counties was a major help. This deferential attitude on the part of the electorate was likely still present when Glenie moved into Sunbury with his masting contracts and, coupled with his outspoken anti-loyalist proclamations in an area with a large pre-loyalist population, contributed substantially to his acceptance. Admittedly, when the assembly opened on 5 Feb. 1791 he became an active participant and soon demonstrated an alert sensitivity to the needs of his Sunbury constituents. Within a few days he presented a petition from a number of Maugerville inhabitants asking that the boundaries of land grants in their township and throughout the province be clearly defined. Quickly pressed into service on a variety of committees, Glenie opposed Carleton’s plan for “fitting up” part of Christ Church in Fredericton to accommodate the Supreme Court and the assembly, and a marriage and divorce bill that was decidedly pro-Anglican and neglectful of other denominations. He also contributed to a committee report that found “very great irregularities and important deviations from the Impost Law” in the treasurer’s department. Even Glenie’s old adversary, the Duke of Richmond, no doubt without realizing it, agreed with the basic thrust of Glenie’s military analysis, that Fredericton should not be the military centre of New Brunswick, and Carleton was forced to abandon some of his Fredericton pretensions. Other of Glenie’s complaints are more suspect. Carleton sincerely believed in the need to strengthen the New Brunswick claim to areas in dispute with the Americans, to build strong lines of communication with Quebec, and above all to facilitate settlement by military protection if necessary. Hence, it is difficult to accept Glenie’s accusations of what amounted to wasteful ignorance and self-aggrandizement on Carleton’s part. Quite possibly some of Glenie’s complaints were related to the fact that in late 1791 Wentworth had made him the deputy surveyor of the king’s woods in New Brunswick. Shortly thereafter Carleton upset Wentworth by charging that he discouraged the settlement of New Brunswick. 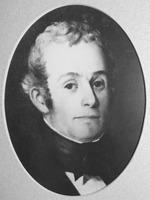 The Carleton case was best explained by loyalist Daniel Lyman, who argued that “the reserves made by the Surveyor General of Woods . . . should be taken off, – and a stop put to any more being made. . . . Most of the reserves I have seen are made in places calculated for agriculture . . . large tracts of miles in extent are precluded from being given to settlers.” The policy of controlling white pine timber for the benefit of the crown, or for the enrichment of certain mast contractors, such as Glenie and William Forsyth, was apparently conflicting with the idea of a settled agrarian society cherished by Carleton and the loyalists. If Carleton’s and Lyman’s views prevailed, Glenie stood to lose both as a mast contractor and as an office holder. By the summer of 1792 he was busy prosecuting trespassers, confiscating illegally cut timber, and trying to harvest as much as possible for himself. Thus the discrediting of Carleton would be a considerable impetus to Glenie’s economic concerns, and possibly the defeat of Carleton’s military expansion and settlement plans for northern New Brunswick would preserve another area for the exploitation of its timber resources. The Carletons might have been in disfavour, particularly with Dundas, but to displace a lieutenant governor on the basis of Glenie’s shrill accusations, at a time when the defence of Britain and the empire required continuity rather than disruption, was an unlikely action. Consequently, Glenie’s direct lobbying in England produced no change in New Brunswick. And if his attacks on Carleton were proving fruitless, even more discouraging was the fate of Glenie’s masting operations. By late 1794 and early 1795 unnecessary waste and cut-throat competition in the masting trade forced Wentworth to urge the several contractors to accept an agreement that left Forsyth and Company in control rather than Blair and Glenie. Relieved of his commercial responsibilities, Glenie still had his appointment as deputy surveyor and plunged into “prosecution on behalf of the Crown” with his usual vigour. Meanwhile, despite his absence, the assembly had not been idle. In 1793 and 1794 it had challenged Carleton and the Council on a number of issues – including the proposed quarters of the legislature and Supreme Court, times and places of Supreme Court sessions, and aid to Carleton’s cherished college – and appeared headed for a confrontation. The moment was right and Glenie was ready. The assembly session of February and March 1795 brought consistent disagreement between the lower house and the Council, which was allied with the lieutenant governor, and time and again Glenie emerged at the centre of the skirmishes. When a committee was struck to prepare an address to Carleton requesting that he “order such of His Majesty’s instructions to be laid before this House as may tend to the information of the same,” Glenie was appointed. When word was sent to the Council drawing its attention to the bill for setting the times and places of convening the Supreme Court, Glenie was dispatched with Robert Pagan* to carry the message. Again, when the Council failed to accept the above bill, Glenie was appointed to a committee to search for precedents – for holding a conference with the upper house. He served on committees to bring in bills “For establishing the Due and Equal Administration of Justice,” “To regulate the Practice of the Courts of Law,” and “For regulating and establishing a Table of Fees” for the courts. The introduction of Glenie’s own Declaratory Bill and the assembly’s refusal to accept Carleton’s defence expenditures in St Andrews and Saint John made the Council increasingly assertive of its and the governor’s rights and privileges. The assembly’s anticipation of the need to take its grievances to the home government prompted the addition of Glenie and others to a committee appointed at the previous session to correspond with the province’s agent in London, William Knox. When the Council rejected a money bill, which included an appropriation for the payment of assembly members, Glenie was among those appointed to respond to the Council’s objections. In the last case a well-argued response was made to the Council’s position, which historian Ann Gorman Condon, describing it as a “sophisticated, terse reply” asserting the assembly’s “exclusive right to originate money bills,” feels was the work of Elias Hardy*. None the less, Glenie had made a substantial contribution to the impasse which existed between assembly and Council by the time the house was prorogued on 5 March. Once Carleton decided to attempt to secure a more amenable assembly through an election in September and October 1795, Glenie was quite willing to take to the hustings to outline his active and vigilant defence of the assembly’s, and thus the people’s, rights. The proposed act concerning Supreme Court sessions, Glenie explained, was pushed “in order to carry the administration of Justice by that Court into every County and to every Man’s door as much as possible; The very purpose, I conceive, for which the Judges receive their salaries.” He pointed out that this bill had been passed by the assembly five times only to be rejected by the Council, and even when “I delivered a message myself putting them in mind of it as a Bill tending greatly to promote the happiness and convenience of His Majesty’s subjects in this Province,” no satisfactory explanation of the Council’s setting it aside was offered. The assembly’s refusal to grant money for the erection of a legislative and court building at Fredericton was explained as the result of its judgement that “the Province [was] not in a situation to bear without great inconvenience to the people, the raising of such sums as would have been necessary. . . .” Moreover, Glenie expressed his opinion, growing out of his own considerable experience, that the buildings would be far more expensive than estimated. Glenie had made a powerful case for a vigilant and active assembly sensitive to the needs of the overwhelming majority of New Brunswickers. Controlling needless and wasteful spending, making education and the courts accessible to the people, and enhancing the elected assembly’s position and power within the governmental system were all issues that would have a definite appeal to many who were not among the privileged loyalist élite. Glenie went even further, however, in apparent anticipation of a possible counter-argument that the parliamentary system he envisioned was quite different from that in operation in the mother country. Essentially, he argued that there was a need for adaptation of the English system to suit colonial realities. “True it is,” he agreed, “that our Legislature consists of three distinct Branches, like that of Great Britain,” but the House of Lords was quite different from the New Brunswick Council and Supreme Court, which occasionally were one and the same in that the judges “sometimes form a majority of the Legislative Council.” Whereas the House of Lords was “a dignified, opulent and independent body,” and its members could only be removed by “an Act of the British Legislature,” New Brunswick councillors and judges “hold their seats not hereditarily, not even during good behaviour, but during the pleasure of His Majesty’s servants and ministers, and are removable at their pleasure, without any reasons assigned.” Since the colony lacked the finer balance and independence of the mother country, the opportunities for arbitrary rule were apparently increased. “If therefore an attentive, watchful and vigilant opposition has ever been found necessary in the House of Commons to preserve the rights and liberties of the people in Great Britain, it must certainly be doubly requisite here, where two Branches of the Legislature are in a great measure thrown into one scale.” Glenie on the hustings in 1795 was Glenie the reformer and people’s tribune at his best. Rising above character assassination and unsubstantiated accusations, and even to a considerable extent above the personal bitterness and selfishness that lay behind earlier attacks on Carleton and the élite, he had persuasively argued the case for many of the assembly’s actions during the 1795 session and pinpointed some of the needs of New Brunswick as well as some of the nuances of the constitutional debate. Be that as it may, the Declaratory Bill was portrayed as a radical measure and its proponent, seen as equally radical, was the lightning-rod that absorbed the loyalist thunderbolts. As Lyman put it, “This Mr. Glenie is known to be in the correspondence with some of the most violent members of the opposition in the British Parliament – at least, he avows himself so – and his sentiments or declarations are such as tend to the subversion of all government of Church and State.” The outraged response, in view of the limited nature of the bill, prompts a question about Glenie’s contribution to the cause of assembly rights. Although he symbolized this particular cause, his radical rhetoric precluded acceptance of much of what he proposed. At the same time, other more cautious exponents of assembly privileges could portray themselves as loyal moderates and work towards the same goals in a less flamboyant fashion. Thus both Elias Hardy, spokesman for assembly control of the purse, and Amos Botsford, shortly to be a voice for moderate reform, opposed Glenie’s Declaratory Bill while certainly not abandoning many of his other goals. In short, Glenie’s attacks accelerated a broadening of the rather closed loyalist political culture into a more accommodative structure where opposition could no longer immediately be silenced or dismissed as disloyal republicanism. Ironically, at the very moment when Glenie was at his political peak, his radical political image was clearing the way for a more respectable reform movement, guided by others and contributing to his own decline. This development was not readily apparent in the election of 1795 since the electorate appeared to approve of Glenie and the assembly party’s conduct by returning a majority of members even more hostile to the governor’s supporters. Glenie himself won easily in Sunbury County, topping the poll with 79 votes, although one of the defeated candidates who had received 22 votes challenged the outcome. William Hubbard charged that Glenie and his running-mate, Samuel Denny Street*, had provided “Meat Drink and Entertainment in order to induce the said Voters to give their voice” for them. Not surprisingly, the assembly rejected Hubbard’s accusations and, by a vote of 13 to 8, declared Glenie and Street legitimately elected. None the less, in the new assembly Glenie was much less active than in the previous session. To be sure, he did reintroduce the bill regulating the times and places of Supreme Court sittings, and he also served on committees for other bills. As well, he was among those appointed to correspond with William Knox concerning the Supreme Court issue. But when a very strong motion was passed requesting that Carleton direct at least one of the Supreme Court judges to reside at Saint John, Glenie, despite his expertise on the question, was not among the three-man delegation appointed to present this resolution to the lieutenant governor. Likewise, although Glenie was a member of the assembly committee that met with a committee of the Council concerning a revenue bill, he did not occupy the limelight when this committee reported back to the assembly. A lengthy indictment of the Council’s actions, ending with a ringing declaration that the elected members were “resolved to continue to assert the Privileges of the House of Assembly and the Honor of their Constituents,” was instead presented by Daniel Murray, a Massachusetts loyalist who had voted against the Declaratory Bill. When the Council offered a blistering reply, it was again Murray, on behalf of the committee, who spelled out the assembly’s detailed and determined position. What did James Glenie think of all this? 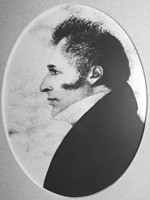 Initially there was a strange silence but before 1800 expired he had written and published a satire, based on the Apostles’ Creed, in which he lampooned, among others, Provincial Secretary Jonathan Odell, “maker of Militia officers and Just Asses of the Peace, and plotter of all head quarter intrigues visible and invisible, the only beloved of Simple Tom.” Obviously, the compromise arrangements did not go far enough for Glenie. Nothing short of a purge of the upper house and a recall of the lieutenant governor would satisfy him. The old Glenie, an abusive and bitter name-caller, re-emerged and the reasoned arguments for legal and constitutional reforms were forgotten. His bitterness no doubt was heightened by the realization that even in the assembly, the cause of which he had briefly championed, he could no longer count on anything like majority support. There was no assembly session in 1800 and Glenie busied himself with his duties as deputy surveyor of woods, duties that took on a new urgency as a result of the European situation. “Masts and other Spars and naval timber must of course be preserved, and an immediate supply be provided,” reminded Wentworth, who continued to rely on and confide in Glenie as an old friend. Whether because of these activities, or perhaps because of disillusionment with his assembly colleagues, when the legislature met again in January 1801 Glenie was not present. He managed to appear for eight days at the tag-end of the thirty-two day session, the worst attendance record of any member except for two who did not appear at all. When he did attend on 10 Feb. 1801 it was for a specific reason: this was the day a censure of Carleton was to be attempted. Between sessions, the lieutenant governor had expended funds on the construction of a building in Fredericton to house the assembly and the Supreme Court, and to some members this arbitrary executive act had to be challenged. Glenie supported a motion by Pagan that Carleton’s action was “unconstitutional, and infringes the unalienable right of the House of Assembly to originate all Appropriations of Public Money.” Not only did the assembly overwhelmingly reject this censure by 14 votes to 5, but it then passed a motion affirming the need for a new building in Fredericton, thus vindicating the lieutenant governor. Glenie retreated to his surveying duties, ever vigilant and with plenty of legal advice for Wentworth, and turned to loftier schemes, such as trying to get financial support for a survey of a possible canal between the Bay of Fundy and the Gulf of St Lawrence. During the session of 1802, however, Glenie returned for his last campaign in the assembly, a campaign that culminated in a boycott of its proceedings. 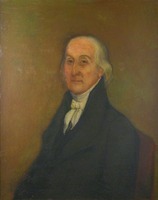 At issue was who should become clerk of the house during the illness and following the death of Isaac Hedden (Heddon). Glenie successfully moved that Samuel Denny Street be acting clerk and then served on a committee “to search for precedents, as to the powers authorities and privileges, in the appointment to the Clerkship.” Clearly, Glenie and a majority of assemblymen felt that the assembly had the power to recommend appointment to the clerkship and, once Hedden died, Glenie moved, again successfully, that Street should be recommended to the lieutenant governor for the post. Carleton’s response revealed equally clearly his feeling that the crown controlled this appointment and he therefore chose Dugald Campbell. Glenie retaliated by moving that the house appoint Street and by 11 votes to 9 his motion passed, but the Council was quick to block the clerk’s salary which the assembly tried to provide for Street and, of course, stood with Carleton in upholding the legitimacy of Campbell’s appointment. To force an adjournment Glenie and like-minded assemblymen stopped attending the sessions, thus depriving the assembly of a quorum; but even when there were only eight members present the sessions continued, despite the opposition of two of this number, Street and Thomas Dixon. The serjeant-at-arms was dispatched to inform Glenie that the house required his attendance, but Glenie replied “that he did not consider them as a House, and that he would not go near them.” As a result, only a handful of members finished the session, Dugald Campbell received the clerk’s appointment and salary while Street performed the duties, and the issue was taken to the electorate since Carleton called an election for October 1802. There followed an extraordinary debate in the press of New Brunswick as both sides presented in elaborate detail the legitimacy of their case. The election itself resulted in a rout of Carleton’s opponents. Even in Sunbury County, Glenie and Street barely scraped back in, with 101 and 93 votes respectively compared to their opponents’ 87 and 82, and the results were to be disputed. First to be challenged was Street, who was denied victory when the sheriff of the county scrutinized his votes and those cast for his opponent, Elijah Miles*, and then declared Miles elected, a decision eventually supported by the assembly. Another petition sought to have Glenie unseated because of the impact his accusations against the government had had “upon the minds and the fears of the Electors.” It was alleged that Glenie had spoken of “Such Gigantic strides of Despotism . . . that the like has not been known since the days of Henry the Eighth the most despotic Prince that ever ruled on the English throne.” Glenie was not unseated, but a clear indication of his political demise was provided when he dared to reopen the clerkship question. His motion in the 1803 session that the house choose a clerk was defeated by 15 votes to 8, and instead a motion was passed to make clear that this office “is a Patent Office, and the appointment thereof vested in the Crown.” If it was any consolation, Glenie’s attacks had taken their toll on the crown’s representative and Carleton was preparing to leave New Brunswick. Prior to the lieutenant governor’s departure in October 1803, his faithful and equally abused Council attempted a final defence against the charges so frequently levelled. In praising Carleton the Council testified that “we have had the honor, for many years, to be witnesses intimately acquainted with the inflexible integrity and disinterested purity of your Administration; and we consider our faithful testimony, on this occasion, not only as a debt due to personal merit, but as a document of public importance.” The need for the document reflected the severity of the attacks launched over the years. Moreover, the Council emphasized that “an equal regard to the Prerogatives of the Crown and the Rights of the People has been the constant Rule of your Government, which hereafter will afford a bright example to your Successors.” This was more than face-saving rhetoric for it revealed how deeply Glenie had stung the conscience and pretensions of Carleton and the loyalist élite. In January 1805 a no doubt apprehensive Carleton, now in England, questioned Edward Winslow: “What’s become of that worthy son of Beliol, Mr. Glenie? I understood he was to come home this winter.” What became of Glenie remains somewhat of a mystery since little is known of the remainder of his life. 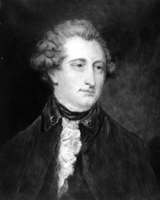 Through the intervention of the Earl of Chatham, in 1806 Glenie was appointed “Professor of East India Cadets” and in 1807 “Inspecting Engineer in some of the West India islands.” However, his penchant for controversy remained and in 1809 his critical comments concerning the Duke of York, connected with a parliamentary inquiry into the alleged sale of military commissions by York’s mistress, gave such offence to the duke that Glenie was stripped of both positions. His mathematical talents remained – he presented a paper to the Royal Society in 1811 – but his efforts to attract students were largely unsuccessful. Consequently, he died in poverty on 23 Nov. 1817, the same year that Carleton passed on, and was buried in the churchyard of St Martin-in-the-Fields, London. His wife had remained in New Brunswick and continued to live in Sunbury County, known to her neighbours as Lady Glenie, until her death on 26 Feb. 1847. They had at least two sons, one (Melville) a military officer and the other an Anglican minister; the at times rather undisciplined and anti-establishment Glenie no doubt appreciated the irony. Concerning his motivation, it should now be clear that his economic interests and personal bitterness were frequently behind his attacks on Carleton and the loyalist élite. Yet, to his credit, there was a real desire to serve his Sunbury constituents and, however briefly, a real commitment to constitutional change in New Brunswick. Unfortunately, his proposals and principles were never spelled out in sufficient depth, at least in the evidence available at present, and often were clothed in an aggressive rhetoric which further obscured rather than clarified. One can be more decisive on the question of whether Glenie ever “led a movement” to seize power from the privileged. The assembly party of the mid 1790s was very much a loose coalition of those who felt disillusioned or deprived in Carleton’s loyalist New Brunswick. Religious issues (dissenters versus Anglicans), economic issues (mast contractors and merchants versus an aspiring landed gentry), geographic divisions (coastal versus inland counties), nationality differences (pre-loyalists versus loyalists, Scots versus Englishmen, Europeans versus Americans), metropolitan rivalries (Saint John versus Fredericton), and quite simply loyalists out of power versus loyalists in power were some of the ingredients that went into the cauldron of the colony’s politics and produced the alignment of an assembly party versus a governor’s party. But to describe the assembly party as led by Glenie or as a Glenie faction greatly overestimates his role. Such a coalition of varied interest groups was bound to be plagued by constant shifts in loyalty as the issues under discussion changed and would have been virtually impossible to lead. Assembly rights appeared to be the one constant, shared at some point by all the anti-Carleton groups, but even on this issue Glenie sometimes parted company with the majority, or some quickly parted company with Glenie, over how far, how fast, and even how, changes should be achieved. Indeed, Glenie seemed committed to change from the bottom up – that is, a greatly enhanced role for the lower house – only in the 1795 to 1796 period; once Council and assembly had agreed on a compromise he retreated to his earlier position of change from the top down, a new governor and Council. Thus, despite his radical image and his assertions concerning the assembly’s privileges and the people’s rights, James Glenie falls far short of being the consistent, committed, and influential leader of a reform movement. He was an erratically brilliant individual, however, and his very presence contributed to the legitimization of dissent and opposition. It also was a forceful reminder to Carleton and the loyalist élite that what they assumed in 1784 to be a coherent and united New Brunswick had, by the time of Carleton’s departure for England and Glenie’s withdrawal from politics in 1803, proved itself a much more pluralistic and diverse society. 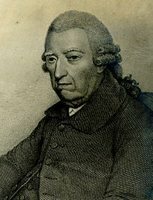 [James Glenie is the author of a number of mathematical works, including The history of gunnery, with a new method of deriving the theory of projectiles in vacuo, from the properties of the square and rhombus (Edinburgh and London, 1776); The doctrine of universal comparison, or general proportion (London, 1789); and The antecedental calculus; or, a geometrical method of reasoning . . . (London, 1793). The two essays that Francis Maseres submitted to the Royal Soc. of London appear as “Propositions selected from a paper on the division of right lines, surfaces, and solids” and “The general mathematical laws which regulate and extend proportion universally . . . , Philosophical Trans., 66 (1776): 73–91 and 67 (1777): 450–57, respectively. Another two papers, “A problem concerning the construction of a triangle, by means of a circle only . . .” and “A letter from James Glenie, esq., to Francis Maseres, esq., containing a demonstration of Sir Isaac Newton’s binomial theorem,” were subsequently published in a collection edited by Maseres, Scriptores logarithmici; or a collection of several curious tracts on the nature and construction of logarithms . . . (6v., London, 1791–1807), 4: 333–42 and 5: 205–16. His contributions to the Royal Soc. of Edinburgh include “A short paper on the principles of the antecedental calculus” and “A geometrical investigation of some curious and interesting properties of the circle” published in its Trans. (Edinburgh), 4 (1798), pt.ii, sect.i: 65–82, and 6 (1812): 21–69, respectively. He is not, however, the author of a report in volume 7 (1813) concerning “a boy born blind and deaf” as reported in the DNB; he has evidently been confused with a “Mr Professor Glennie of Marischal College, Aberdeen,” whose “Answers to some queries . . .” on that matter appear on pp.16–20. 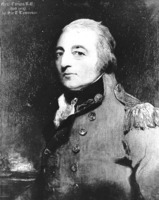 Glenie’s opposition to Richmond’s defence policy was conducted in print, beginning with A short essay on the modes of defence best adapted to the situation and circumstances of this island; with an examination of the schemes that have been formed for the purpose of fortifying its principal dockyards on very extensive plans, which are ready to be carried into execution by his grace the Duke of Richmond, now master-general of the ordnance, published anonymously as “by an officer.” This essay, Richmond’s An answer to “A short essay . . . ,” and Glenie’s A reply to the “Answer . . .” were all published in London in 1785. Glenie later published Observations on the Duke of Richmond’s extensive plans of fortification, and the new works he has been carrying on since these were set aside by the House of Commons in 1786; by the author of the “Short essay” (London, 1794). At the PAC, the basic collection for the early period of New Brunswick history is MG 11, [CO 188] New Brunswick A, 1–26. Glenie’s military career can be traced in the Haldimand papers, BL, Add. mss 21709: 95–96, 129–31; 21712: 67–68; 21714: 255–58; 21715: 6–9; 21720: 147–49; 21722: 361–62; 21726: 209–10; 21734: 10–11; 21741: 40; 21743: 146–47; 21764: 19–20; 21787: 6, 14–15, 36, 43–45; 21788: 5, 12; 21801: 9–10; 21814: 29–30, 40–43, 46–47, 143–50, 200, 210–12, 257–58, 265, 273; 21874: 180–81; 21877: 412 (mfm. at PAC). The PANS contains the valuable Wentworth letterbooks, RG 1, 49–54, which allow a reconstruction of the Wentworth–Glenie relationship. Also useful are the Wentworth papers, MG 1, 939–41, and the Saint John River papers, RG 1, 409 (mfm. at N.B. Museum). A variety of documentation concerning Glenie’s political career is found at PANB in RG 4, RS24, S6-B25, P14; S8-B17; S9-B5, B8, B9, B17, P4; S10-B17, P2, P6; S11-P3; S13-B14, Z9; S14-Z1; S15-B6, B19; S16-B3, B16, P16, P17, Z7. Other valuable items here are RG 7, RS72A, Mary Ann Glenie, 1847; and RG 10, RS108, Petition of James Glenie, 3 Aug. 1785; Memorial of Glenie et al., 8 Oct. 1785. His land grants are catalogued in N.B., Dept. of Natural Resources, Lands Branch (Fredericton), Index to grants, 1765–1848. The basic collection at the PRO is of course CO 188/1–23. At the N.B. Museum are some interesting items, a number of which are very valuable. These include SB 39: 118; Colwell coll. ; Glenie family CB; H. T. Hazen coll. : Ward Chipman papers; and Jarvis papers. Among printed primary sources, the following are extremely useful: Annual reg. (London), 1809; “‘Creon’: a satire on New Brunswick politics in 1802,” an anonymous poem originally issued the same year, edited by T. B. Vincent and republished in Acadiensis (Fredericton), 3 (1973–74), no.2: 80–98; Gentleman’s Magazine, July–December 1817; [Joseph Gubbins], Lieutenant Colonel Joseph Gubbins, inspecting field officer of militia: New Brunswick journals of 1811 & 1813, ed. 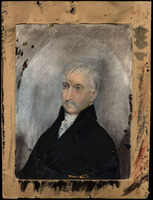 Howard Temperley (Fredericton, ), 32–33; Kingston before War of 1812 (Preston); N.B., House of Assembly, Journal, 1788–89, 1791–99, 1801–3, 1805; and Winslow papers (Raymond). Useful contemporary newspapers include the New Brunswick Courier (Saint John), 1818; the Royal Gazette (Saint John), 1785–1804; and the Saint John Gazette, 1787–1805. The following reference sources are valuable: William Anderson, The Scottish nation; or the surnames, families, literature, honours, and biographical history of the people of Scotland (3v., Edinburgh and London, 1869), 2; DCB, vol.4 (biogs. of William Davidson and Elias Hardy); DNB; and G.B., WO, Army list, 1777–87, 1817. W. G. Godfrey, “GLENIE, JAMES,” in Dictionary of Canadian Biography, vol. 5, University of Toronto/Université Laval, 2003–, accessed April 20, 2019, http://www.biographi.ca/en/bio/glenie_james_5E.html.